So, I decided to post the story on my blog for inquiring minds who want to know how my wonderful fiancee proposed to me on April 25, 2011. On April 22nd, I turned 25. I knew I would be spending that day in DC with friends, so my boyfriend and I decided beforehand that we would go to a dinner and a movie when I returned. I wasn’t supposed to come back to Columbus until Saturday night, but I ended up having to work Saturday morning, so I returned home early. 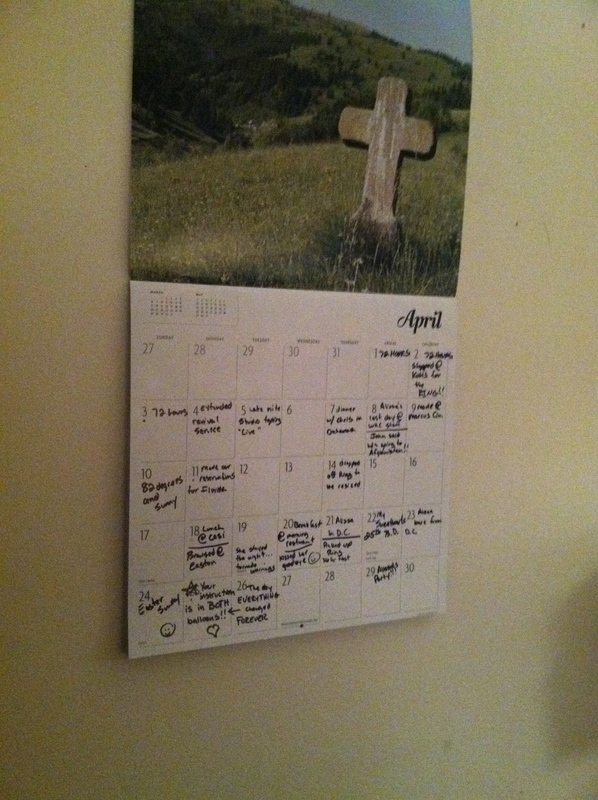 When I got back home, Saturday was busy and Sunday was Easter which meant church all day, so my boyfriend and said he would give me my gift on Monday night when we went to dinner. 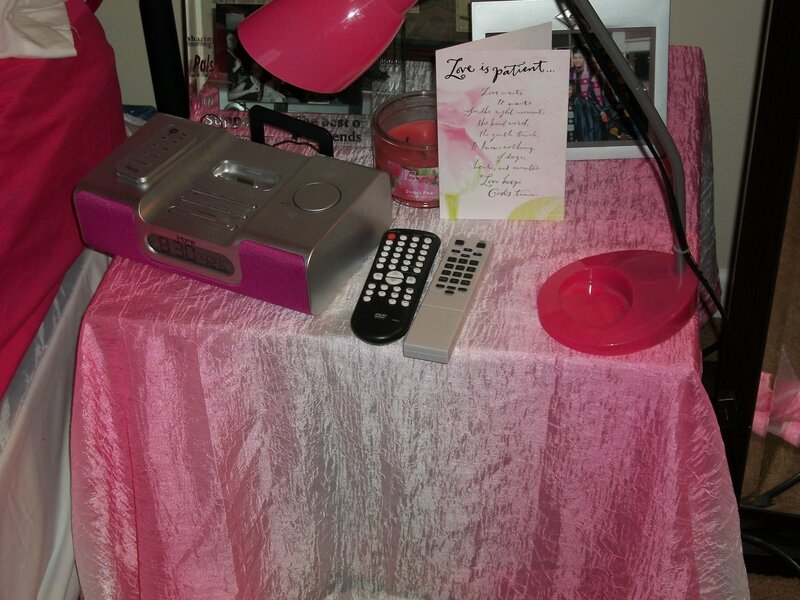 Where he hid my first "instruction"
Under the table in my room was a pink&green gift bag with a balloon tied to it. 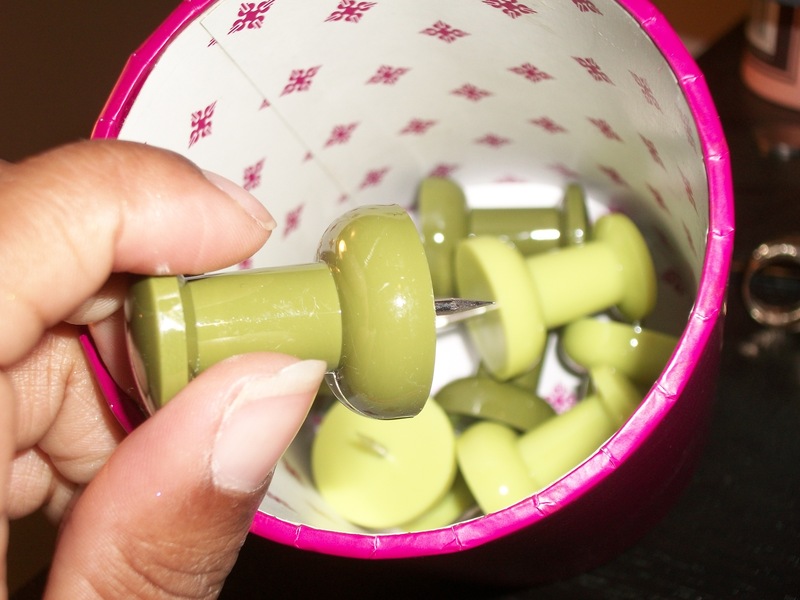 Inside was a card a small pink can of huge green thumbtacks. 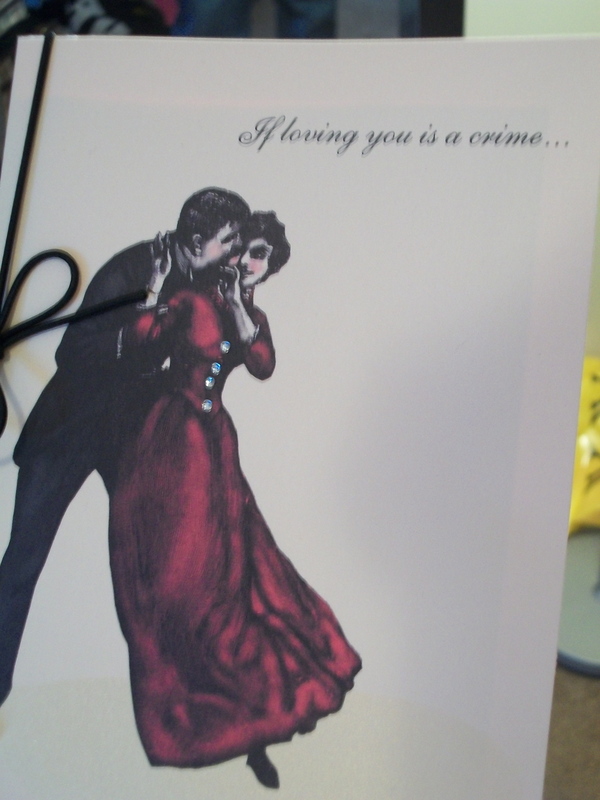 "If loving you is a crime"
I read the card and on it were instructions to use a thumbtack to pop the balloon for the beginning of my “treasure hunt”. 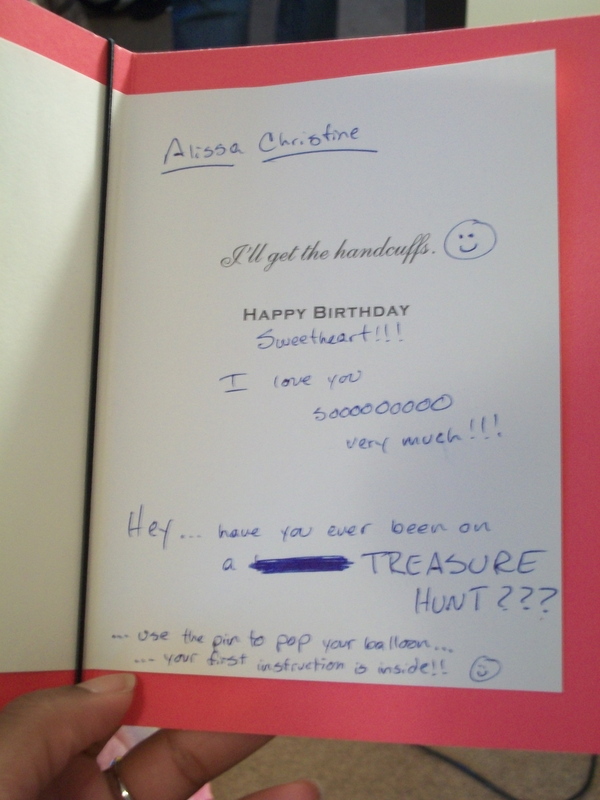 A note inside the balloon instructed me to go to Walgreens by his house. (He and I live about eight minutes away from each other.) I went into Walgreen’s half-expecting the girl working at the photo desk to give me a balloon after I said I was there to pick up a photo for Joe Henry. She didn’t. She handed me my picture, said it was pre-paid and told me to have a nice day. (Little did I know how NICE the day would turn out). 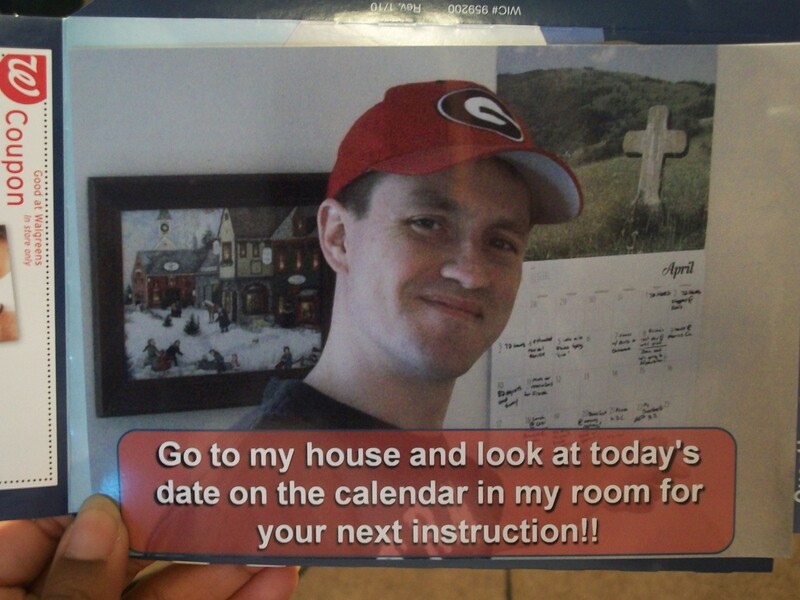 The picture instructed me to go to his house and look at his calendar on the wall for my next instruction. I drove to his house, parked and walked in announcing “Joe, it’s me!” His roommate called back “Joe’s not here. He just left.” I knew he was up to something at this point, but I still didn’t know what. 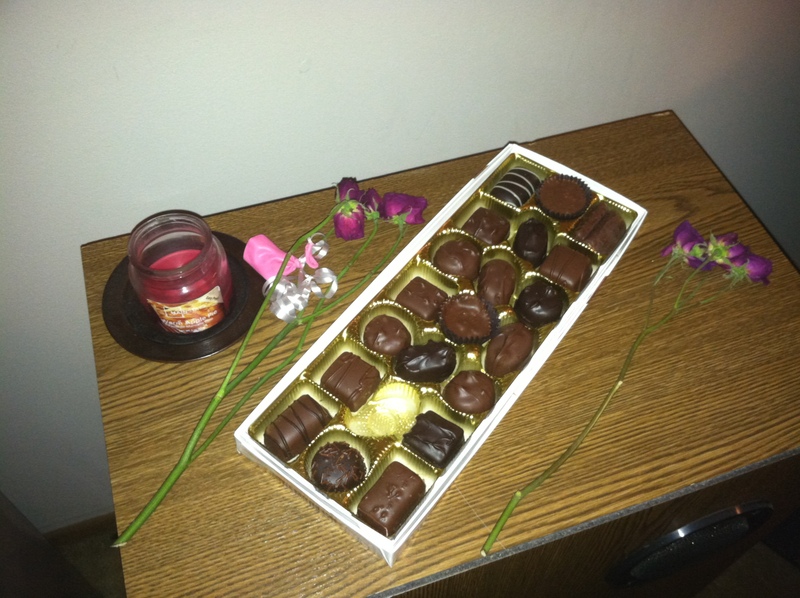 Next to the calendar lay two long stemmed roses and an open box of a dozen of assorted chocolates. Two balloons were taped to either side of the calendar. 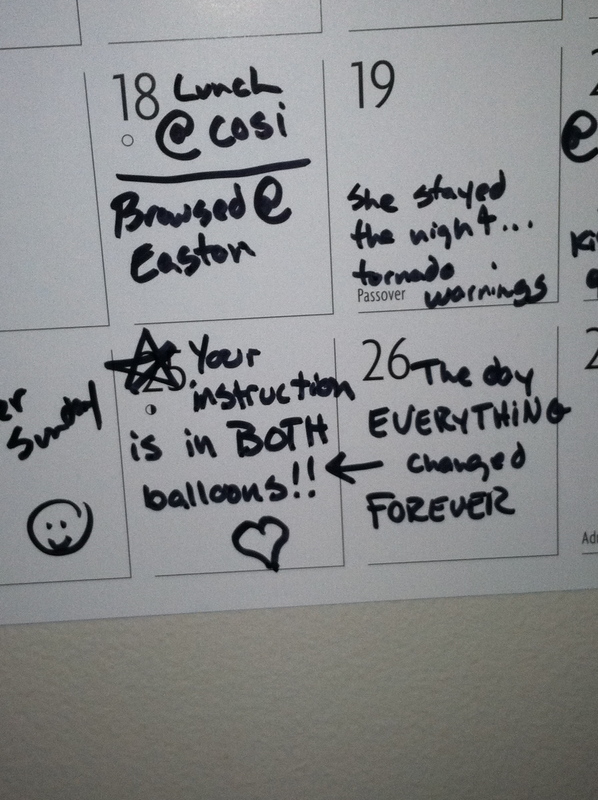 The calendar instructed me to pop the balloons. I popped the balloons and there was a note telling me to check my Facebook. 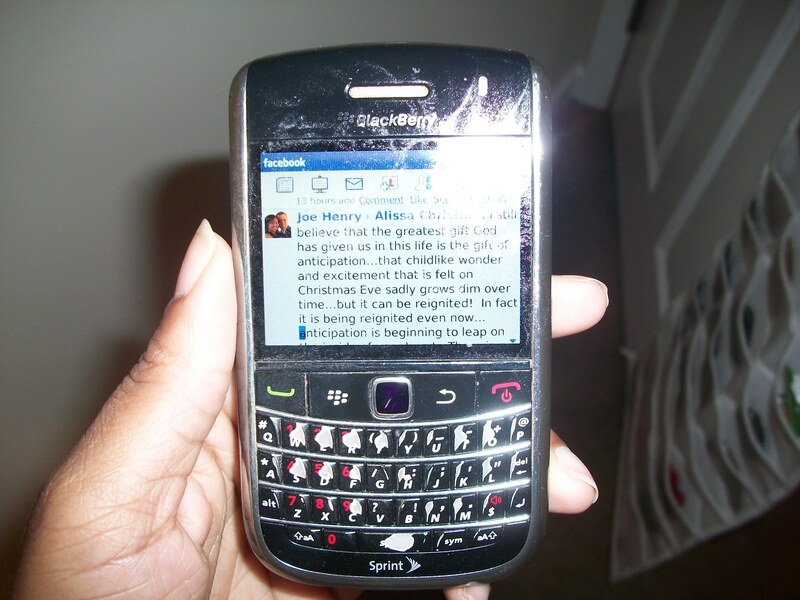 I pulled out my Blackberry and read the posting Joe put on my wall. 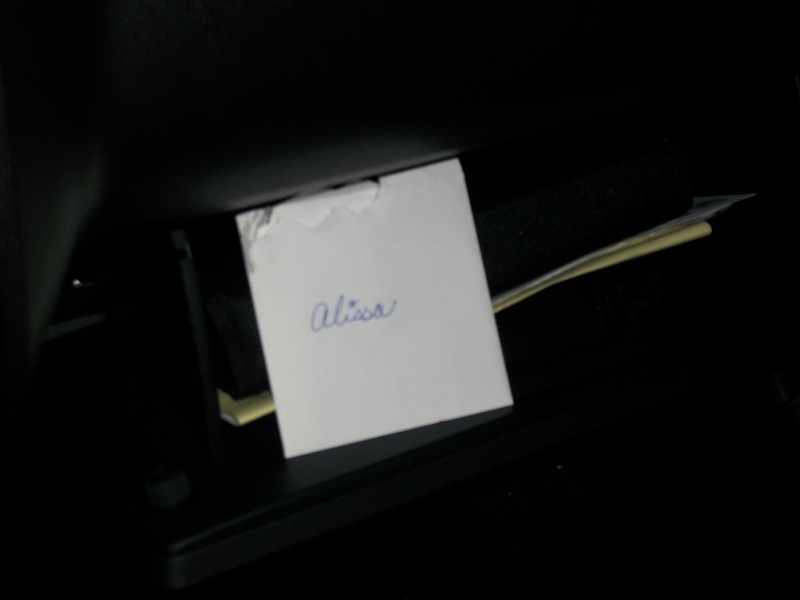 At the end, it said to look in my glove box in my car for my next instruction. 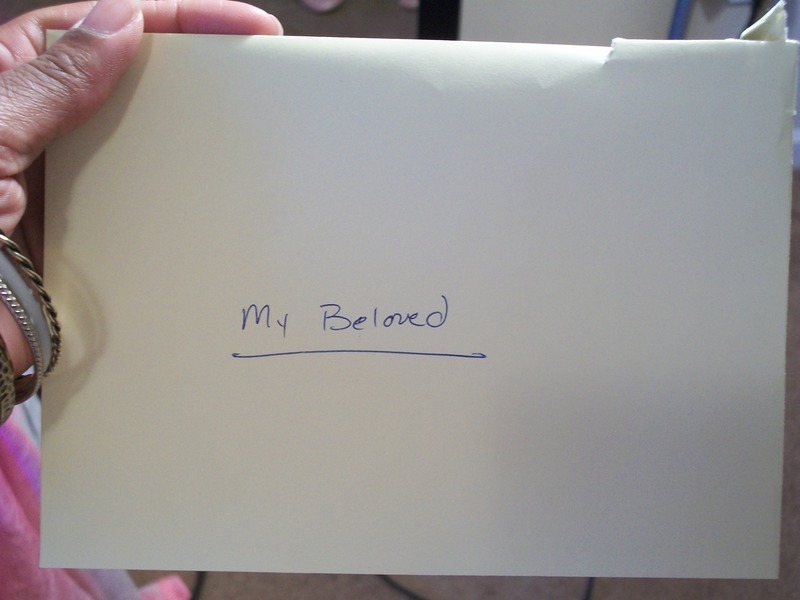 I ran to my car, threw open the glove box and saw another small square white envelope with a white ribbon tied around it and my name written on the front of the envelope. I tore it open and it said: Meet me at Coldstone Creamery. I pulled into Coldstone, got out of the car and Joe was sitting outside on the bench holding a huge bowl of icecream with one of those chocolate and peanut crusted waffle bowls inside of it. I sat down next to him breathless and laughing. He stared at me with a huge smile on his face. I was so confused. I wanted to say “Where’s my gift?” Lol. 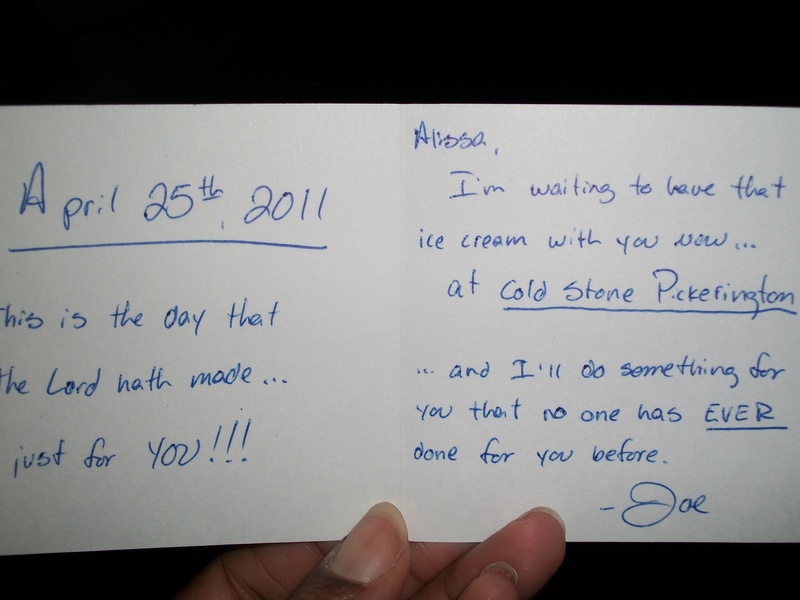 Then I wondered if him sitting in front of Coldstone was my gift (and the cute thumbtacks and chocolate and flowers). So I just smiled and started eating the ice cream he was holding. We small talked for about two minutes between bites. 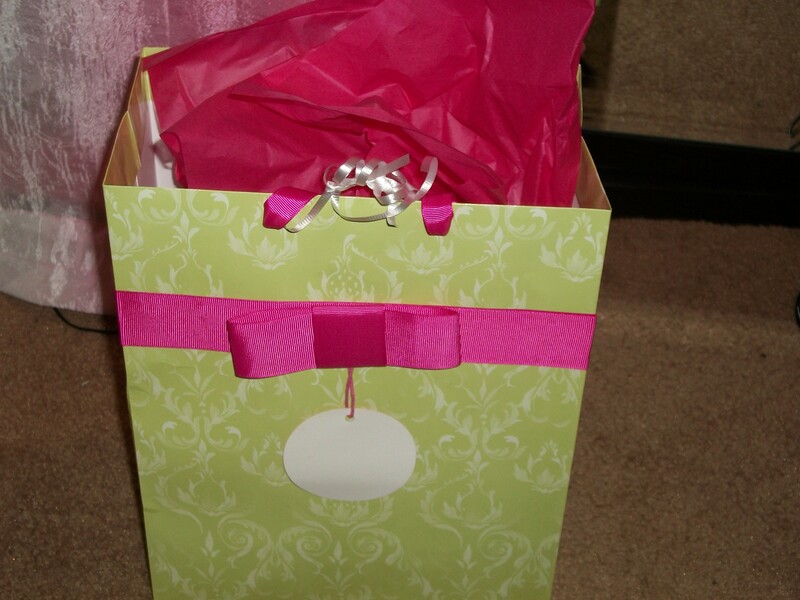 Then he said, “Well…Alissa….hang on I have your gift.” And he pulled out his phone “Who are you calling?” I kept asking. The person didn’t answer so he hung up and called again. I asked again “Who are you calling?” The person on the other end picked up, “Hello, Clarice?” he asked. My mouth dropped. He was calling my mom! He asked my mom for her permission to marry me and I started SCREAMING. Apparently my mom started screaming too. I jumped up, covered my face, and just started laughing and crying at the same time as he pulled out the maroon box and got on one knee. Apparently, he told the people in Coldstone what he was going to do beforehand and I’m sure they saw me and heard me screaming cause people started coming out of the restaurant to say Congratulations! Lol. It was the best proposal ever from the greatest man this side of heaven. ← If You’re Happy And You Know It Clap Your Hands!!! This is one of the most beautiful post I’ve read so far !!!! I just got misty eyed !!! We both are strangers to each other but I wish you all the happiness in the world. Ahh, this is so nice !!! What an amazing story. Congrats! OMG!!! I’m ALL verklempt. iCan’t handle any of this. THIS IS THE SWEETEST THING EVER IN LIFE!!!!! This is the stuff romantic movies are made of. Awesomeness!